This is great! As a longtime fan of your blog, I was excited yesterday to finally get my hands on your printed work (specifically Thor:TMA) All the amazing praise was warranted. Really good stuff. As someone who's trying to be a better artist myself, your work gives me lots of Awesome to learn from. Thanks! Fantastic! 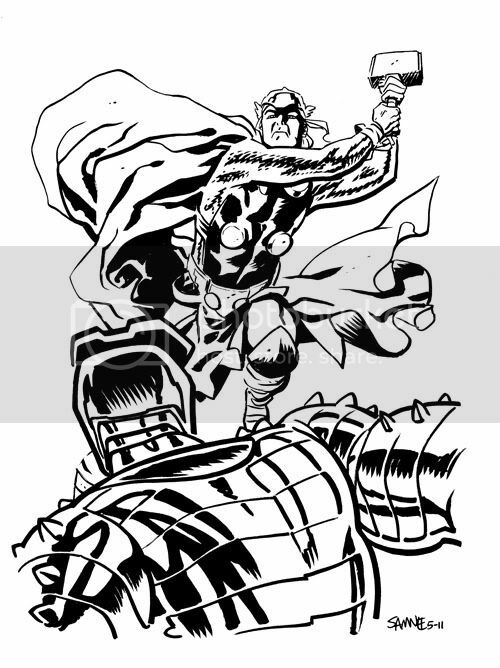 Love the face on Thor! Great primer, Chris! It's going to be surreal to see Thor on the big screen. I sure hope that Marvel/Disney sent you some complimentary tickets as a member of the Mighty Marvel Thor Mythos Society. I love this. You really do do a great Thor.